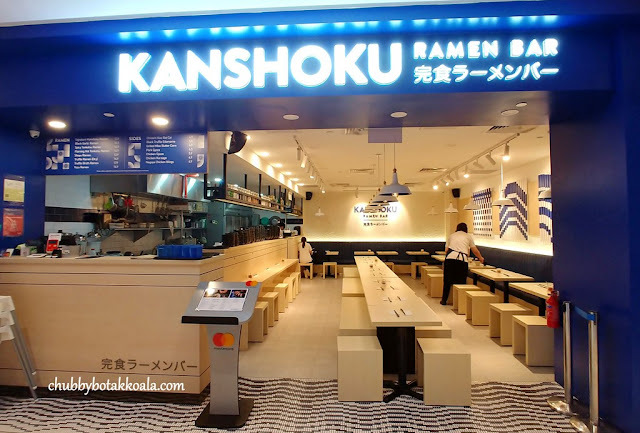 Kanshoku Ramen Bar is a Singapore born Ramen Bar created by Melvin and Brendon, founded in 2014. 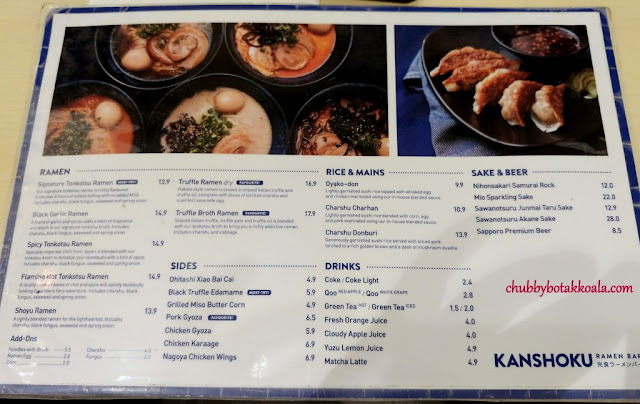 Kanshoku means 'to finish eating every last bit of your food'. 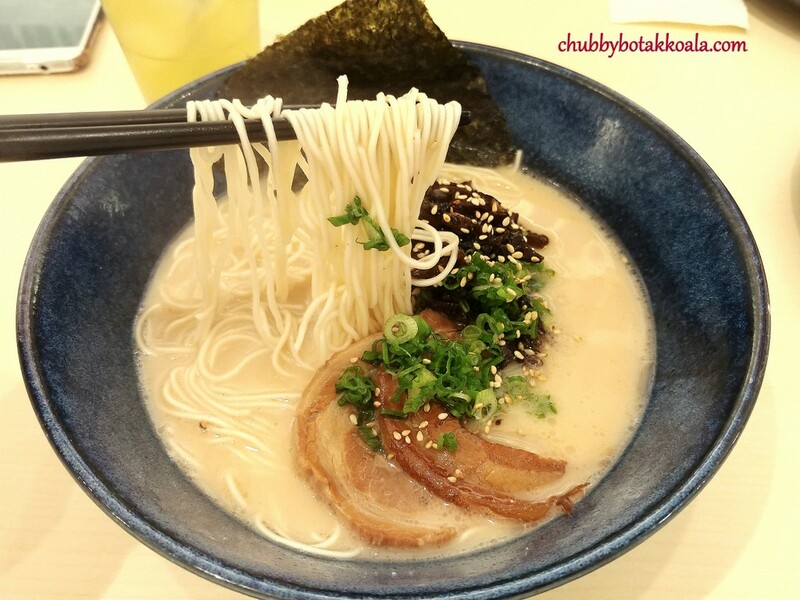 This sometimes can be difficult when it comes to Tonkotsu ramen, however this duo manages to create this in Kashoku. My order is Signature Kanshoku Ramen ($13.90), with hard ramen texture. The presentation is simple with only the necessary ingredients. 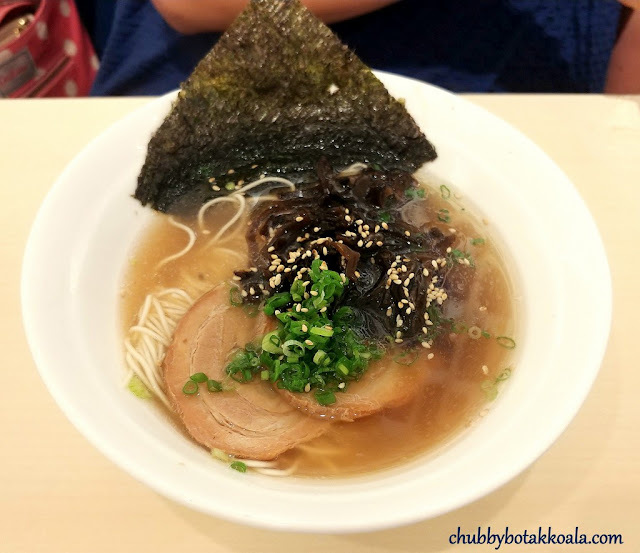 Ramen, Char Siew, Fungus, Spring Onions and Seaweed. First slurp, the broth tasted creamy, robust with a subtle umami flavour. I noticed that it is not oily, however you can feel the subtle Oink Oinkness in the broth. The ramen is thin and springy and easily soaks up the flavour of the broth. The chasu is thin, well-balanced fats and it just melts in your mouth. Oishi!! As I was hungry, I decided to top up with Noodle with broth ($5.50). 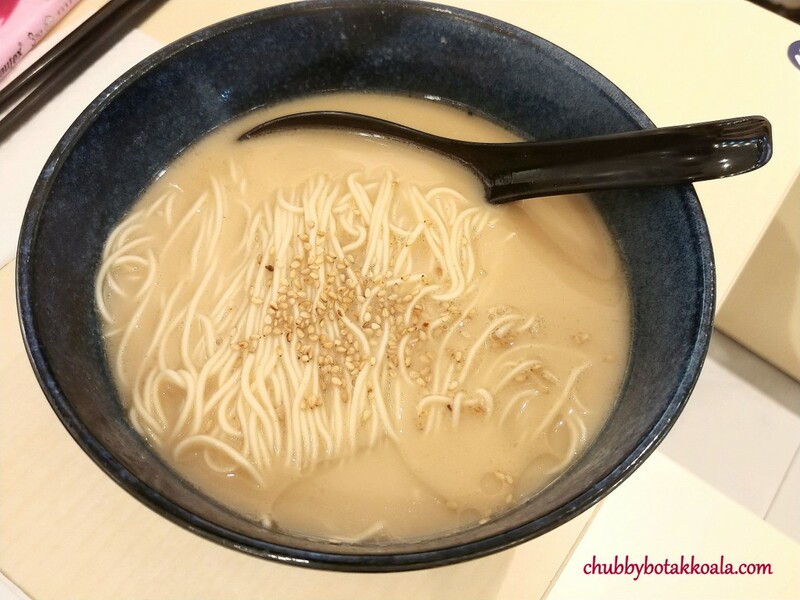 It is basically the Ramen with the broth, topped with white sesame. 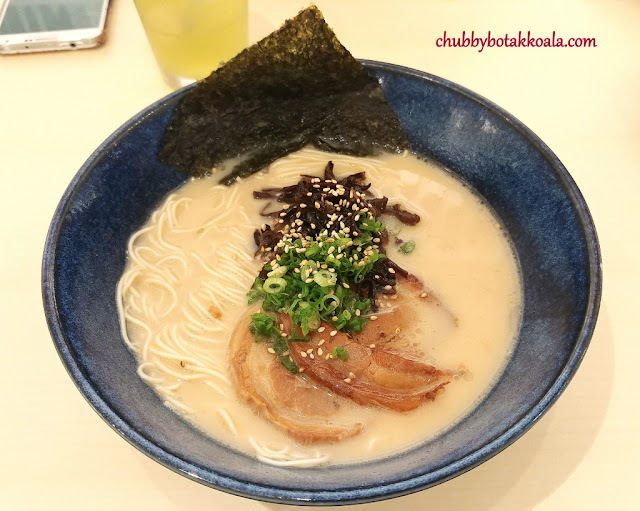 The portion is generous and the texture of the ramen is consistent. Shoyu Ramen ($13.90). The broth of this ramen is the opposite of the Signature Ramen. It is clear and well infused with quality shoyu. The ramen is thin and springy, complemented the broth nicely. The chasu is thin, well-balanced fats and just melts in your mouth. Suitable for someone looking for a lighter ramen. 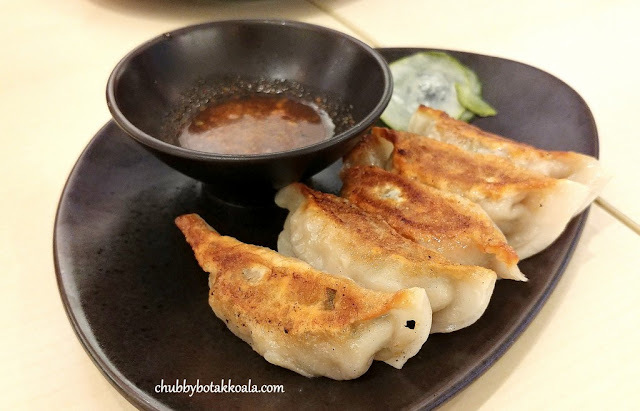 We also ordered the Pork Gyoza ($6.50).The skin is crispy and the pork fillings just burst in your mouth. The tangy vinegar helps to balance too much richness from the pork. The décor of the restaurant is bright, zen, creating the atmosphere of dining in a Japanese establishment. You can be forgiven if you think of it as a dessert bar instead of ramen bar due to its modern aesthetic. The ordering process is simple and seamless, while the service is no fuss as well. Overall, in the beginning, I thought this restaurant is another franchise from Japanese Ramen outlet. Kudos to Melvin and Brendon in creating a homegrown Ramen Bar. It is definitely comparable to those established brands. For the ramens, they are just OISHI. Cheers!! Budget per Person: $11 - $25.